Boston Marathon bombings: More surveillance will not stop terrorist acts. More surveillance is not the solution to terrorism. The scene on Boylston Street last week was horrific: two homemade explosive devices, reportedly packed with nails and ball bearings, blasting through crowds of innocent men, women, and children out to enjoy a marathon on a sunny spring afternoon. Images of a blood-soaked sidewalk beamed across the world, provoking a familiar mix of fear and confusion—a gut-wrenching feeling that residents of New York, London, and Madrid know all too well. The political response, still developing, has also been familiar: Proponents of more surveillance have been making their case aggressively, some, like Rep. Peter King, R-N.Y., demanding more monitoring of Muslim communities in order to prevent a similar atrocity from occurring. Others are also calling for increased surveillance—like my Slate colleague Farhad Manjoo. The bureau says that two years ago, it checked Tamerlan against government databases to look for “derogatory telephone communications”—presumably those perceived to be disparaging to the United States—and his potential use of websites associated with “the promotion of radical activity.” It also scrutinized his links with other persons of interest, trawled through his travel and education history, and interviewed his family. The FBI says that at the time, it did not find any terrorism activity, domestic or foreign. A source at the bureau, who provided information on the condition of anonymity, told me the feds did not spy on the content of Tamerlan’s communications because they could not find a terrorism connection and so did not have the evidence necessary to obtain a warrant. (A government official told the New York Times that the FBI had sought additional information from Russia in order to justify a search of phone records and “other more restricted information,” but received no reply.) In other words, this means that instead of eavesdropping on Tamerlan’s calls or looking at his emails, the feds searched for existing intelligence about him already stored on government computers. What the bureau meant by looking into “derogatory telephone communications,” the source said, was that they checked a database for any previously lawfully obtained records. Where surveillance has indisputably proved itself useful is in retrospective investigation. In Boston, it was an extraordinary feat that within a matter of days, in a city of some 630,000 people, the authorities were able to home in on the two individuals they believe were responsible for the attacks—largely thanks to security camera footage, some of which is still not released and is said to be “highly incriminating.” The cops were also reportedly able to use cellphone tracking to find the brothers on Friday, after they stole a car and shot an MIT policeman in a frenzied series of events that ultimately led to their capture. But the idea that more ubiquitous surveillance—whether in the form of cameras or eavesdropping—would have prevented the attacks is impossible to prove. Those arguing for increased surveillance as a pre-crime tool “to spot criminal activity before it happens,” as Manjoo has written, misunderstand the level of surveillance that is already being conducted—and the difficulty of finding a needle in haystack. Even if we were to take the argument for more surveillance to its logical extreme and cram the skies with spy drones and install Trojan keyloggers on the computers of every citizen in the United States, an intelligent lone-wolf attacker bent on causing destruction will still find a way to evade detection in order to wreak havoc. 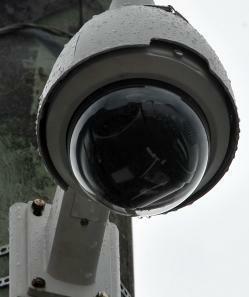 You can plant a camera on every street corner, fitted with software supposed to detect suspicious behavior. However, no amount of security will address the underlying issue—the terrorism, which is existential and usually rooted in some sort of political grievance that simmers like a volcano only to intermittently erupt. Surveillance can be a useful law enforcement tool, no doubt. But it is not a panacea.